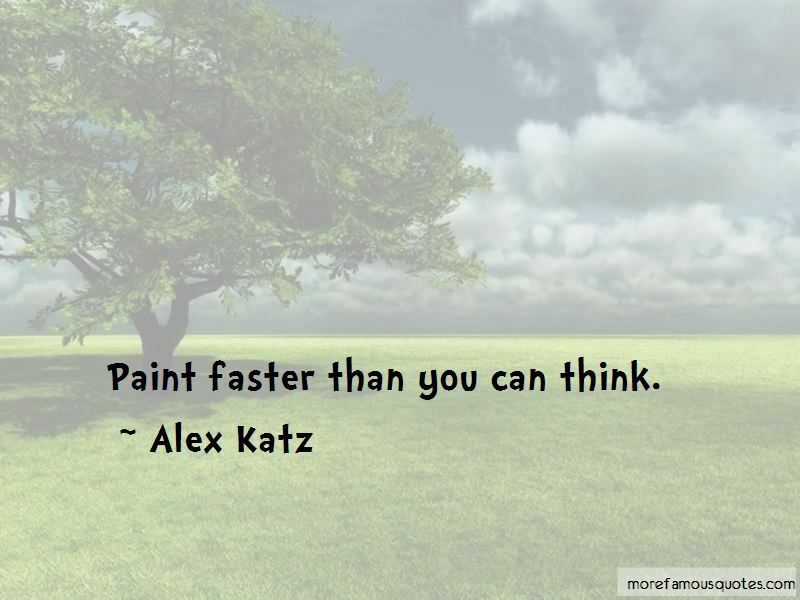 Enjoy the top 9 famous quotes, sayings and quotations by Alex Katz. Realist painting has to do with leaving out a lot of detail. I think my painting can be a little shocking in all that it leaves out. 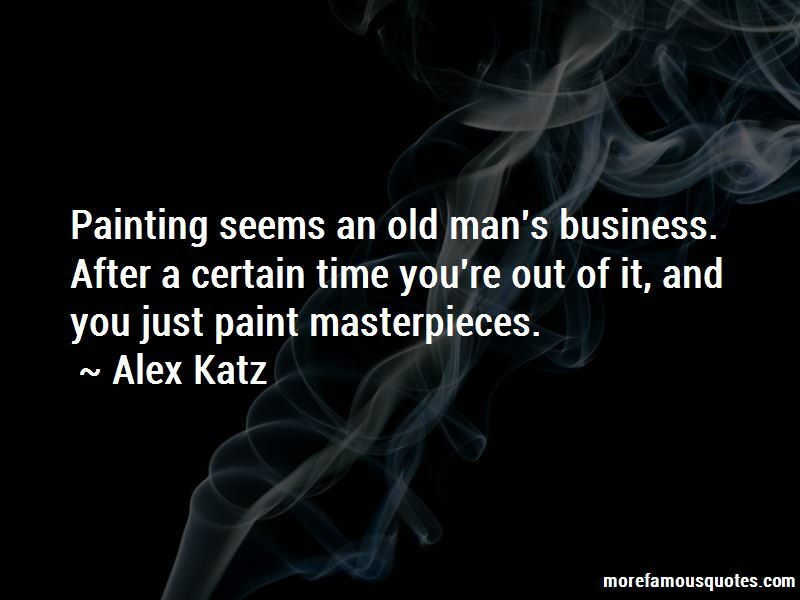 But what happens is that the mind fills in what's missing ... Painting is a way of making you see what I saw. 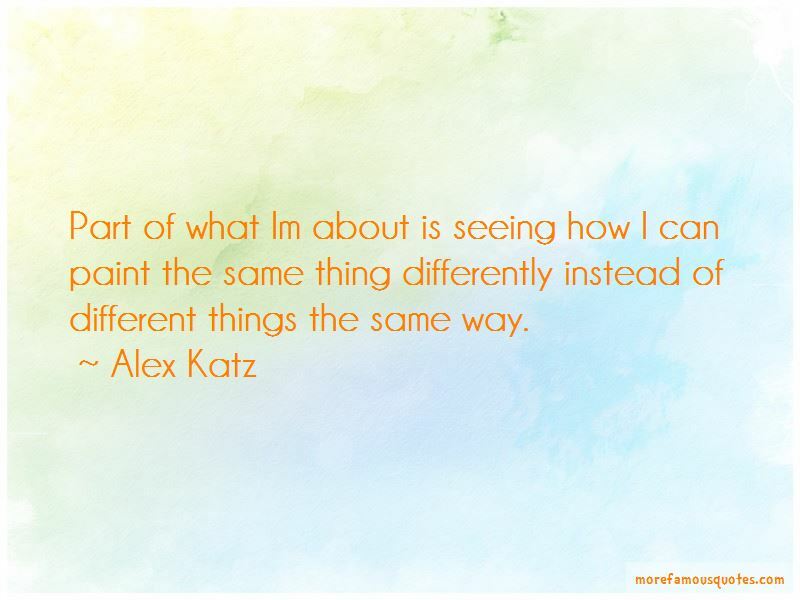 Want to see more pictures of Alex Katz quotes? 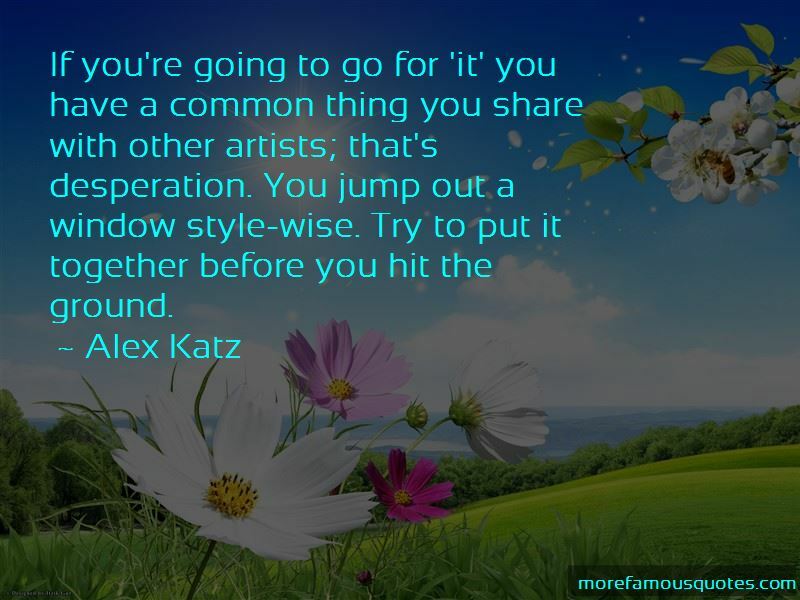 Click on image of Alex Katz quotes to view full size.